It seems that Banksy is not done with NYC yet. This weekend more works attributed to the notorious British street artist appeared in Manhattan and in the Borough of Brooklyn. “Free Zehra Dogan” surfaced on the famous Bowery art wall to raise awareness about the plight of the imprisoned Turkish-Kurdish journalist who was jailed for adding images of Turkish flags to a painting of the destroyed Kurdish city of Nasyabin. 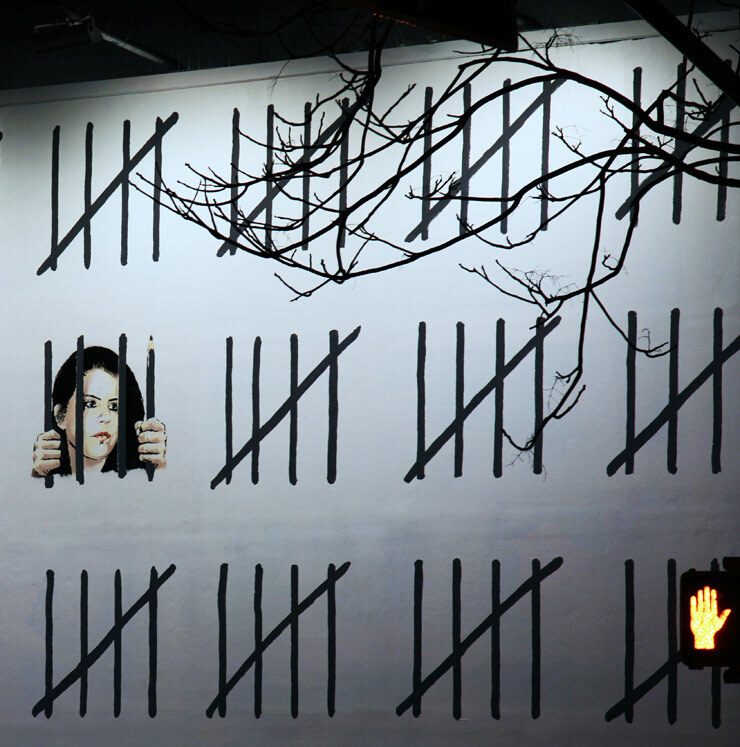 Banksy’s tribute depicts hash marks representing the 272 days that she’s been jailed. 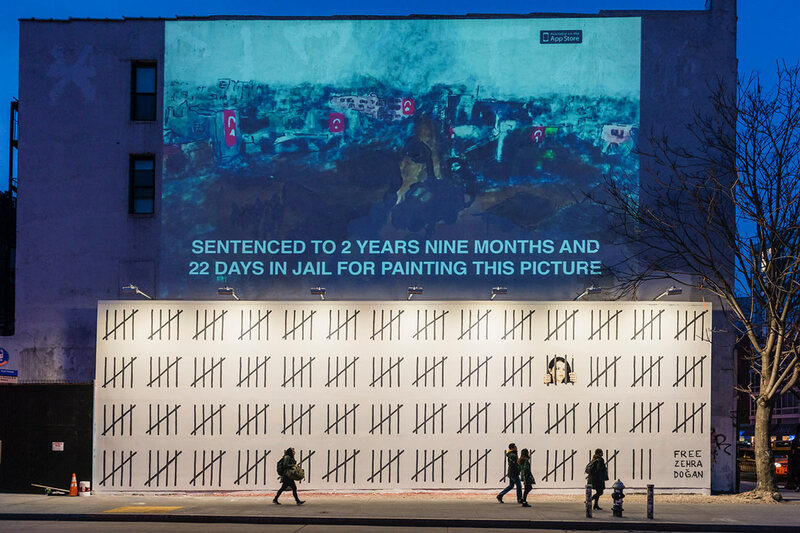 At night, the wall at Houston Street and the Bowery, also has a projection of the painting that got Dogan her prison sentence. 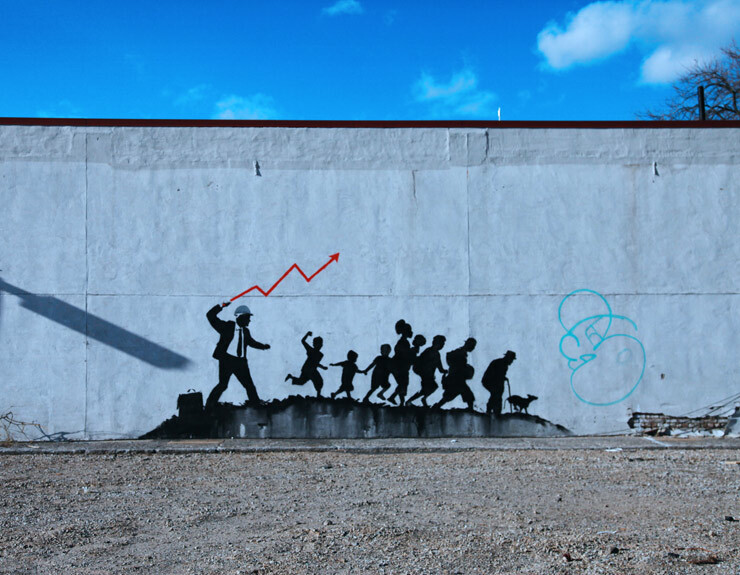 Another purported Banksy work surfaced in Midwood, Brooklyn showing a suited business type cracking a whip over a group of escaping people. The “whip” in the mural looks like a graph from a business graph. Look out Queens, the Bronx, and Staten Island, Banksy may be heading your way this week. This entry was posted in Art, USA and tagged Banksy, Bowery, Brooklyn, mural arts, NYC, Street Art. Bookmark the permalink.